Chang is a truly exceptional Thai beer, created to compliment the unique culture, heritage and cuisine of Thailand. 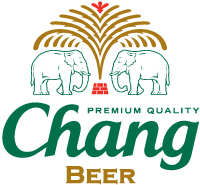 Within only four years, Chang beer became the number one selling Thai beer brand in its home country. Today, Chang Beer is recognized for its unique quality all over the world.